Xarelto is a member of a new class of anticoagulant drugs that has been approved to reduce the risk of stroke and other blood-clotting disorders in patients with atrial fibrillation. The new drug, manufactured by Janssen, has been linked to cases of serious internal bleeding disorders, including hemorrhaging and intracranial bleeding. If a patient takes Xarelto and begins to bleed internally, there is no approved treatment or way to reverse the serious and potentially fatal side effect of the drug. As our Boston dangerous drug attorneys who represent Xarelto victims can explain, if a patient was prescribed the drug without being informed of this serous risk, there is no way for that patient to have made an informed decision and given his or her consent to take the drug. There is no way to balance the risk versus benefits when you are not told of the risks. Neither the company nor the FDA has stated what the contamination is – only that it was a microbial contamination of non-sterile products. The reason drug companies keep quiet about serious risks is that when a drug like Xarelto hits the market, the company wants to make as much money as possible, and dangerous side effects such as internal bleeding can harm sales when there are safer and more traditional alternatives to treat clotting disorders, such as warfarin. 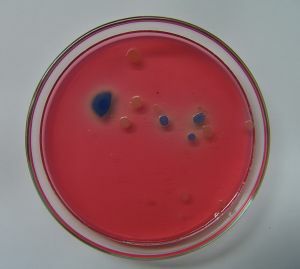 According to a recent feature in the industry trade publication, PharmTech, Janssen has been made aware of other problems with Xarelto in the form of contamination. Pharmaceutical manufactures, whether making brand name or generics, owe a duty to users to make sure that foreign contaminants are not introduced into the production process. Janssen has recalled 13,500 bottles of Xarelto after complaints of bacteria in a sample package. After an investigation, the tainted medication was traced to a production facility in Puerto Rico. The company decided to voluntarily recall all doses of Xarelto from that production run, though contamination was only reported in one bottle. The company has assured patients that, despite this recall, there is no shortage of supply for patients taking the drug. In any negligence case, including dangerous drug litigation, any negligence that results in contaminated drugs being supplied to patients can be used to a establish a breach in the company’s duty of care owed to patients. If the breach of the duty of care results in an injury to a patient, this may be sufficient for a jury to award a financial recovery to the injured plaintiff. Of course, these defective products cases may require expert testimony to establish exactly what the contaminant was and whether it caused injury to the plaintiff. Proving causation is essential to recovering in cases such as these and such proof may involve complex litigation. One of the most important things a dangerous drugs victim can do increase the chances of a full and appropriate financial recovery is consult with an attorney who regularly handles these types of matters and is up to date on all recent developments.